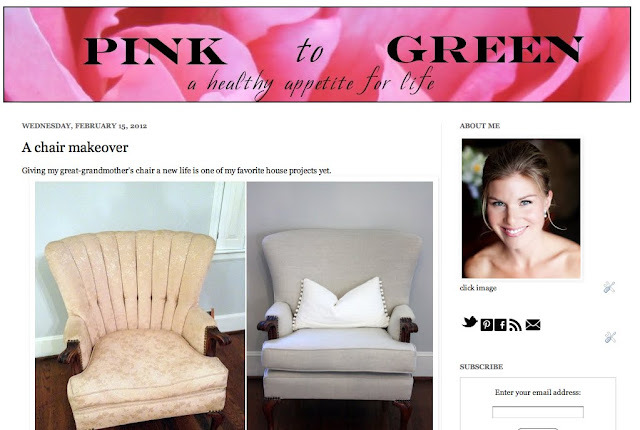 Pink to Green got a bit of a facelift recently; I hope you like it! The tagline, a healthy appetite for life, provides a clearer objective for my musings. In addition to recipes, I'll be featuring content that celebrates a healthy appetite for life- both on and off the plate. Pink to Green now has it's own Facebook page, so please join the fun by "liking" it! Very nice (all natural) facelift. :) I'm loving that chair.